Thank you for letting me join your group. I am writing to you all in the hope of sharing some information with anyone who may have known Snow Bennett and information on Luigi Pellerini's PL 13 Air Jeep. Back in early 1976 Snow Bennett gave me a job when I was 16 years old and after I first left high school to work with him at his company "Air Dynacraft" in Girraween NSW. He intended to apprentice me that year as an aircraft sheetmetal worker but the company went into receivership in about the July of 1976 when Luigi decided to not complete the aircraft. Snow was apparently in partnership with a chap called Reg Brabham who said he was Jack Brabhams cousin at the time. I would like to share some of my memories of that time with the group and hoped your members may be interested in my time with the company. Hi Daryl, Most fascinating. 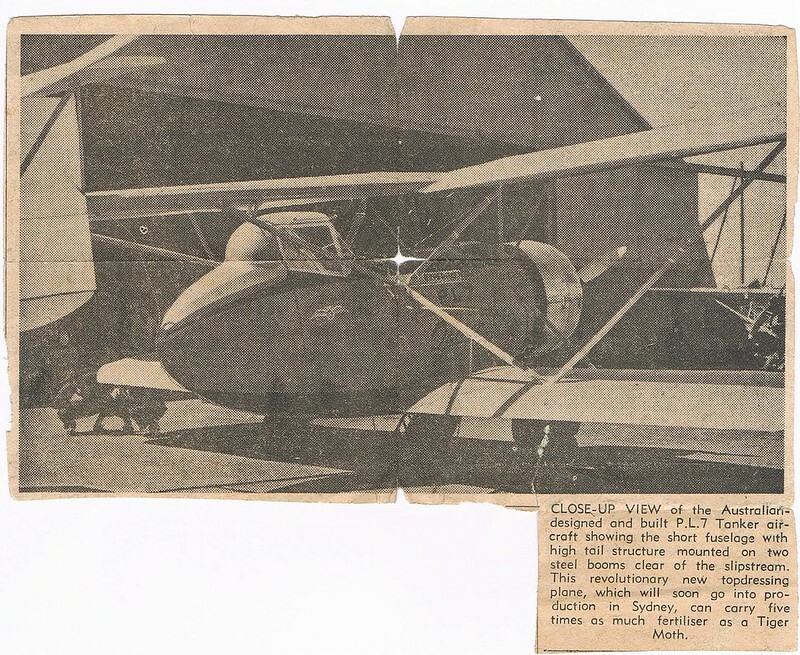 Is the prototype Air Jeep in storage with the Oakey Aviation Museum. I known they had one of Luigi Pellerini's designs there at one time. By the way I was friends with Snow Bennett's nephew back in the 50s when we were about 10 y.o. I noticed that myself when I first found this blog site. I am going to ring them at the museum soon as I only live on the Gold Coast now myself to see if it is still there. The last time I saw it (PL-13) was about July 1976 when I was 16 so it was like finding an old friend to see it on Google. If you or any other members have any questions for me I will try to answer them as best I can. Hi Daryl, Sorry for slow reply however have been dogged with computer problems over the past week but all fixed now. Also would love to hear your stories of your time working with Air Dynacraft. Did Luigi Pellerini have an involvement with the company? Hi Max, That's OK I have been busy myself these last few days. I emailed the Caboolture air museum 2 weeks ago but they have not replied as yet. I will give them a phone call soon to see what they can tell me and give you an update. I left High School at the end of 1975 and was accepted into the RAAF as an apprentice in the January of 1976. I was under the assumption that I had a say in what I wanted to do as a career and wanted to be an Aircraft Engine Fitter. What they didn't tell us when I first applied was we had to do more exams when we go in there and then they decided what we would do for the next 9 years. Between this and a bad drug problem at Wagga airbase at the time I decided to come out and see if I could try something else. My mum saw a advertisement for an apprentice aircraft sheetmetal worker at Girraween in NSW near our home and when I came home I went to see Snow Bennett and Reg Brabham who decided to employ me and see if they liked me. I was really enjoying my time there and they were happy with me and intended to apprentice me. With a lot of supervision I was even getting good at riveting which took a bit of practice to get it right. Luigi mostly stayed in his drafting office and popped his head out from time to time to chat. What I thought was strange was they had most of the airframe finished and assembled when I first started working there, but Luigi and few others would go out some days with a radio controlled copy of the Air Jeep for air trials. Towards the end I could see a lot of frustration on their faces and I assume the flights did not go well. I thought there must have been an unforeseen design flaw with the aircraft and even more money was needed to correct it. One day Luigi just decided not to complete the project and walked out leaving everyone in the lurch. I can only assume there was no more money in the coffers to correct and complete the prototype aircraft to flight worthiness. Around July 1976 the work on the plane ceased and Snow found me a job down the road with a General Sheetmetal firm. I would pop back and talk to him and Harry the old welder to see how they were going and they had odd jobs to keep themselves going for a few more months until the lease on the unit finished. After that I never really knew what happened to the plane until now and don't have any information on it's travels between then and the present. I would have thought they would have made sure the aircraft design would have flown and was airworthy long before starting work on the project, but I was not privy to the early design trials if any or any financial dealings between the shareholders. It was all very strange looking back and I was too young at the time to know any different. searched for PL 13 but could not find an image - this sort of lineage / ancestory though MR Hainey1 ? 1when it says 'tanker" ................ spose we are talking spray tank ? I expect you are correct as it was designed for agricultural use. A forerunner to the New Zealand PL-11 Airtruck. I'm not sure if the PL-13 and AirJeep are one and the same. Some years back i saw an image purported to be the AirJeep in the Oakey museum however it looked rather small and may have been a model. Hi ianwau, Yes I have accessed the Queensland Aviation files on Pellarini, they are quite extensive. Sorry for taking so long to get back to you all. I'm caring for my mum full-time now since her last stroke and my days are pretty hectic at present. I appreciate all the input so far. Here are the only 2 pictures of the Air Jeep I can find. Copy and paste the links into your web browser to view. The last time I saw it back in 1976 it was still bare metal like in the second photo. I believe the PL-13/Air Jeep is now either housed or displayed at the Oakey Military Museum. Can anyone confirm this? It was about five years ago (when the Caribou's left) the aircraft was not in the museum but in a storage hangar within the base. In reply to OP. I have been on a bit of a 'Pellarini mission' these past few months. Note there is various discussion online and in print on whether the QAM 'Airjeep' dates back to the late 1950's (the PL.8) or whether it's a 1970's build (PL.13). The QAM airframe is a sesquiplane with twin booms, a pusher prop and a low mounted front canard. Looks like a 6-seater. What I DID discover was that a simple google images search on "Reg Brabham" Aircraft (ie the Air Dynacraft operation at Girraween) yields a series of pictures of an airframe under construction together with a radio control model - very much as you described Daryl? It is clearly a different airframe to the QAM one.